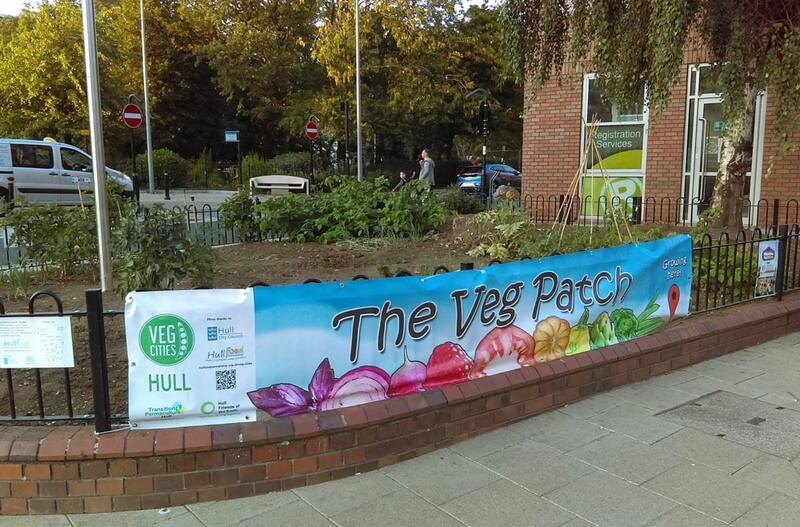 ‘The Veg Patch’ – also know as the Wilson Bed outside the Wilson Centre on Alfred Gelder Street in Hull City Centre, originally a council flower bed, has been used to grow fruit and vegetables for public consumption since 2014. It was originally set up and maintained by volunteers from Food4Hull, Hull Friends of the Earth, Transition & Permaculture Hull. If you would like to know more about ‘The Veg Patch’ or get involved with the planting, harvesting or mantaining of the bed get in touch with us using the form below.